When it comes to putting how we feel down on paper, it’s not always as easy as it sounds. Feelings are complex and sometimes there are just no words for what you’re trying to convey. 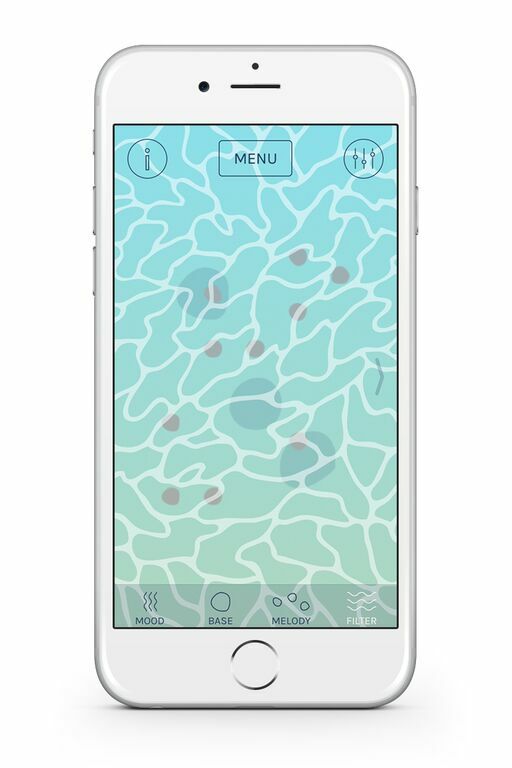 So instead of trying to get people to describe how they feel, Cove, a new iOS app, wants people to express themselves through the medium of electronic music. Hear me out. For people who struggle with anxiety or just find it hard to even determine their own moods, melodies can prove a useful tool of expression. At least, that’s what its creators at social technology company Humane Engineering are hoping. The app is built on the principles of musical theory; it has 6 harmonically evolving sounds to get you started and you can build on these and play around with the tones, without having to know the ins and outs of music. There are no right or wrong sounds for people to use or create, the aim is that people create pieces of music than resonate emotionally with them. When you start, you choose from four base moods – playful, longing, calm, struggling. These serve as the basis for your piece of music. 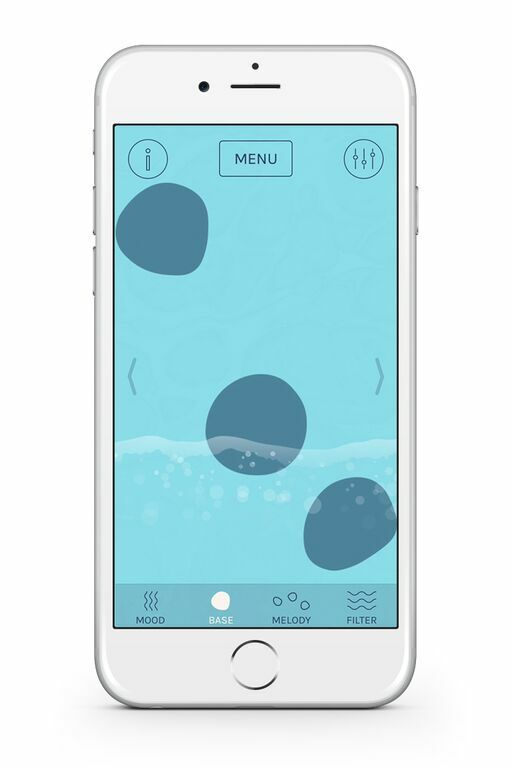 The display looks like water, so when you’re adding to your tune by tapping the screen, your taps appear as stones in the water – creating your own personal cove (aha). 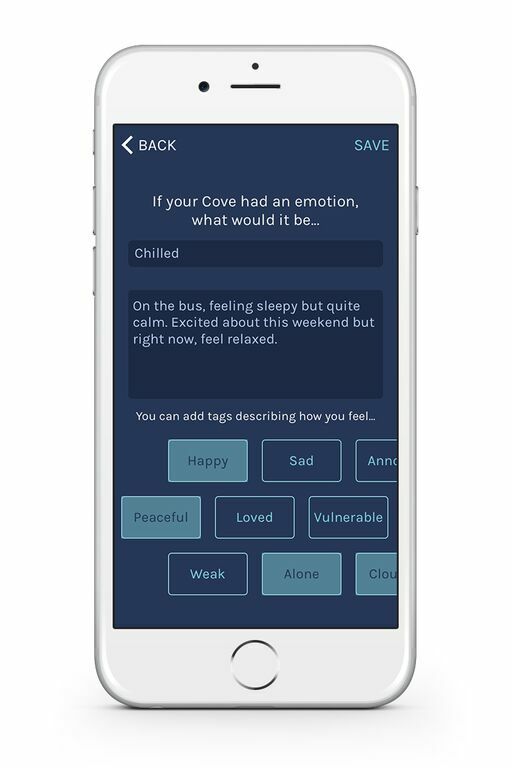 The founders of Cove are emotionally, as well as financially, invested in this app. Both Ivor Williams and Alex Rother lost friends to suicide and a car accident when they were teenagers. Naturally, it has had an impact on their lives and now they hope that with Cove, young people find a way to privately express themselves truthfully in a meaningful way. I also lost a friend in tragic circumstances a few years ago and despite everyone wanting to talk, the only thing that helped me, or at least, the only place I was honest with my feelings, was in my notebook. If something like Cove had been around then, would I have tried it? Yes, definitely. Would it have helped me? I think so. 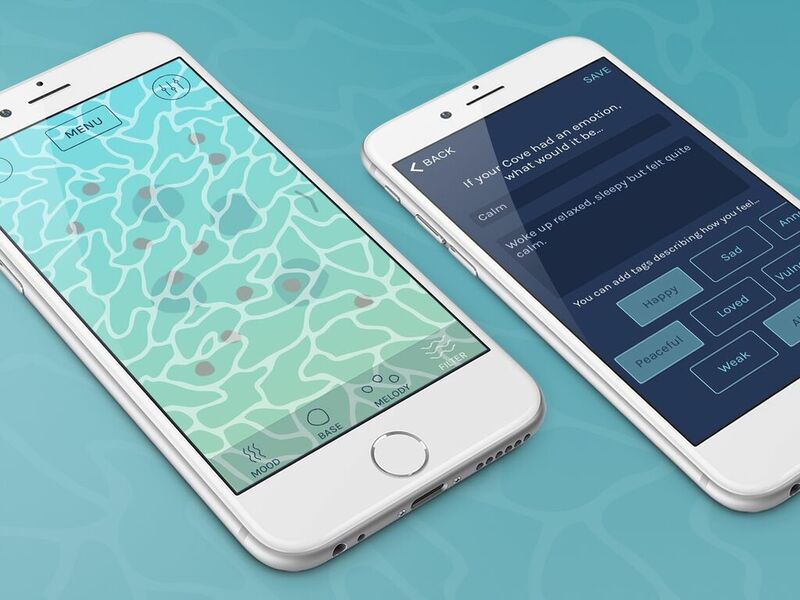 So, while an app to create melodies may seem simplistic in its nature, if it can help to de-stigmatize emotional wellbeing in any way, then I am all for it and you should be too. Read next: Why has WhatsApp accessed my contacts 23,709 times in the last 7 days?